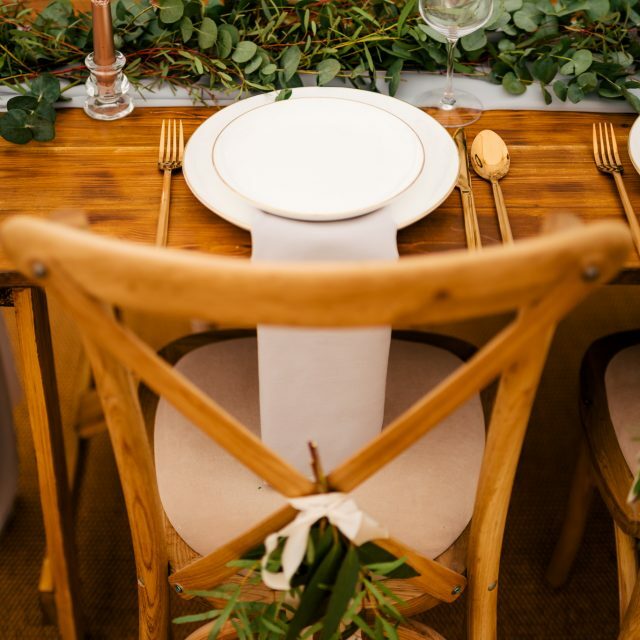 We are unique in providing Solid Wood Flooring to all of our wedding marquees. 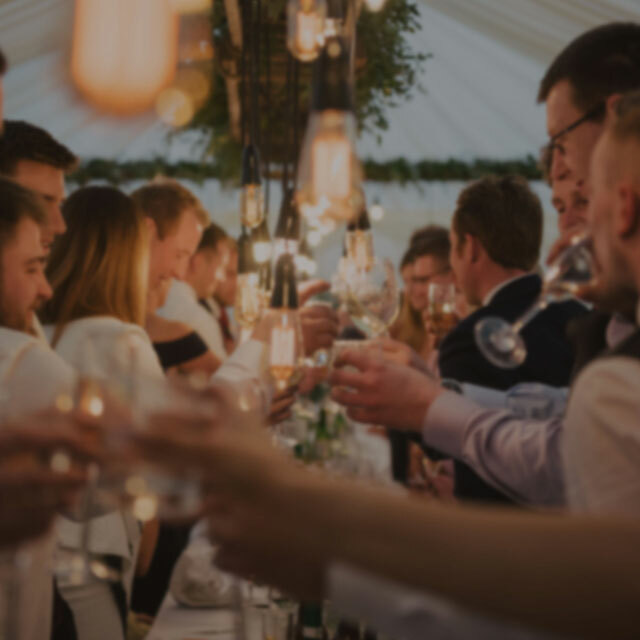 It is something that we strongly believe is essential to ensure an extremely important event like a wedding goes without a hitch. Flooring ensures that water goes under a marquee and not into it. Some companies offer ‘flooring’ but what it actually transpires to be is matting. Matting is a soft, non-raised surface which sinks into the ground, lets water and mud through it and becomes a trip hazard. 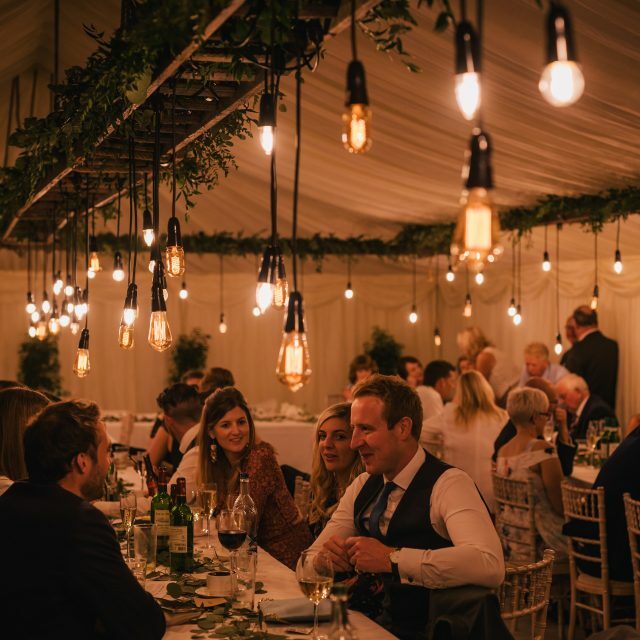 We ask everyone who reads this to ensure that, whoever you use to provide your marquee hire service, ask that they include a solid wooden floor. It’s the right thing to do and prevents disasters. After we have laid a wooden floor, we then overlay this with brand new carpet (Frame Marquee) or matting (Pole Marquee). 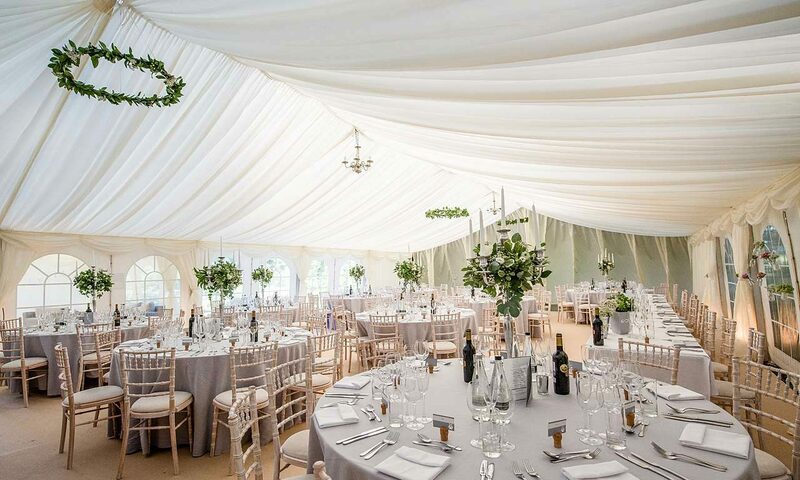 Solid Flooring in a Pole Marquee is something that’s very tricky to do due to the marquees curved ends. 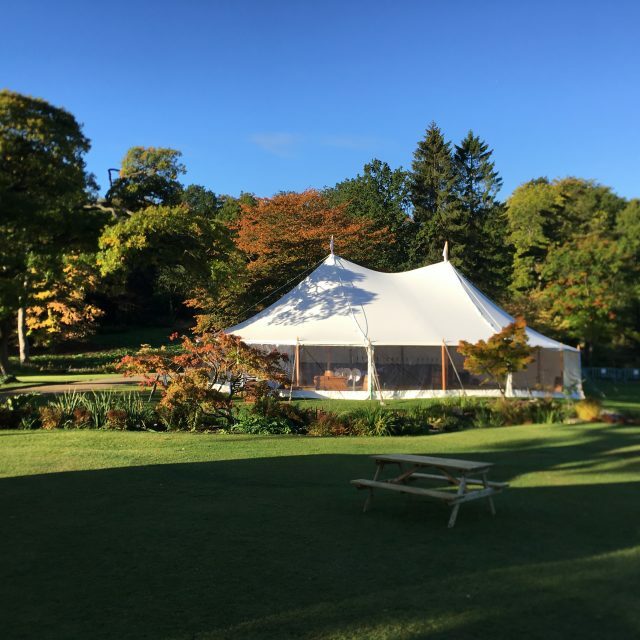 We had to work very hard to develop a unique and bespoke floor to fit our Pole Marquees and the end result is fantastic – fitting the shape of the pole marquee beautifully and giving it a solid floor and protection from the worst of the Yorkshire weather. Whilst we have a whole selection of carpet colours for you to choose from, we recommend our ‘Coffee’ coloured carpet as this is neutral and light, whilst also hiding a multitude of marks that are inevitable from any event. Please do note that the line-up of boots outside your marquee is from our team who are very well mannered in terms of keeping your carpet clean! 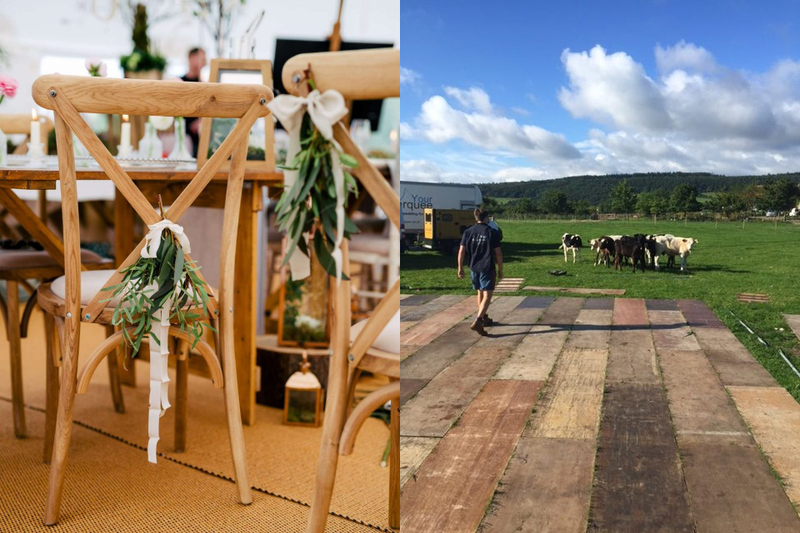 Solid Flooring is an option in marquees used for ‘other events’ but for any relatively smart party or celebration it’s something that again we recommend for the same reasons as we do for weddings.